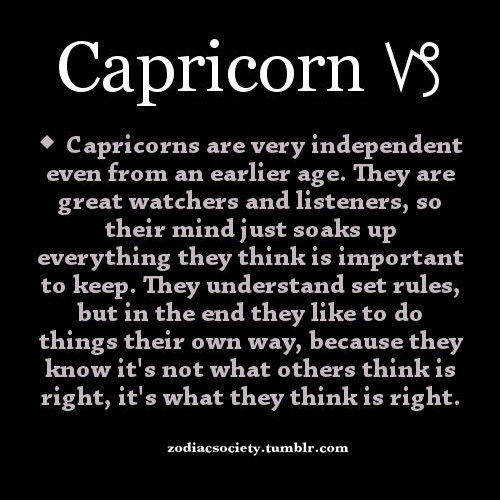 Capricorn Traits #004 | Capricorn Life - Capricorns Rock! Capricorns are very independent even from an early age. They are great watchers and listeners so their mind just soaks up everything they think is important to keep. They understand set rules, but in the end, they like to do things their own way, because they know it's not what others think is right, it's what they think is right.